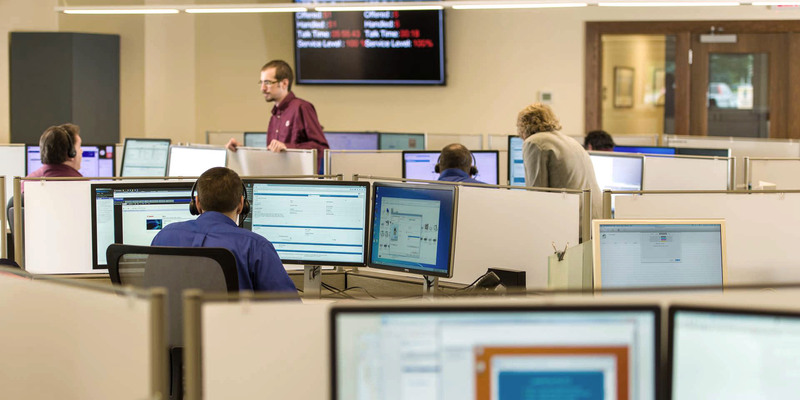 Our Technology and Logistics Center (TLC) includes a state-of-the-art laboratory where we duplicate your environment to get a firsthand understanding of the issues you’re experiencing. With that insight our highly trained IT professionals and system engineers are able to provide the hassle-free help you need for printers, scanners, multifunction devices and software. Click on the video below and see our newly remodeled TLC. For quick resolution, contact us using one of the following methods. For hardware-related problems, like paper jams or copy quality issues, place a service call by going to our Client Portal. The GFC Client Portal provides on-demand access to your account information, 24/7. You’ll be able to place supply and service requests, enter meter readings, view invoices and make payments. Not registered on the GFC Client Portal? Click here to email a GFC Account Executive and set up a new account today. Please include your company name in the subject line.